This is not a cruise. This is a sun soaked scenery scoping getaway. Discover aquatic wonders under the waves on a snorkeling excursion or a thrilling submarine ride in Aruba. Go on a distillery tour to sample the island of Curacao's signature spirit, Blue Curacao. Hop on a glass-bottomed gondola for prime undersea views in Kralendijk. Taste the diverse island cuisine of St. Maarten, which is rated among the best in the Caribbean. Come Seek the Royal Caribbean®. Book this cruise now and lock in a great rate and receive an exclusive $50 Onboard Credit per person! Book by Feb. 28, 2019. Receive Great Pricing and Exclusive $50 Onboard Credit per person! Your journey begins in San Juan, Puerto Rico’s vibrant capital. You’ll find 500 years of history to delve into here, from ancient fortresses to colorful colonial-era buildings. If you’re traveling to San Juan by plane, arrive at least a day earlier to explore this beautiful city. If you’re arriving the same day, the airport is just a twenty-minute taxi ride to the port. Oranjestad, Aruba is best known for its colorful Dutch Colonial gingerbread houses painted in bright Caribbean hues, powdery white beaches and crystal-clear aquamarine water. Explore Aruba’s unique geological formations amid desert-like landscapes. Discover the colonial-era fortresses and other landmarks of Willemstad, Curacao on a trolley ride before exploring more on your own. Go on a distillery tour to sample the island’s signature spirit, Blue Curacao, or make some new friends at the Sea Aquarium. It’s always sunny in Bonaire, where the days last nearly twelve hours and the adventure never ends. The countless coral reefs surrounding its shores are home to more than 400 species of marine life, earning it the nickname ‘Diver’s Paradise.’ But for some of the best snorkeling, head to the islet of Klein Bonaire. St. Maarten sits at the crossroads of the Caribbean and the Atlantic. It’s also a place where over 120 cultures meet. You can taste it in the island’s cuisine, which is rated among the best in the Caribbean. 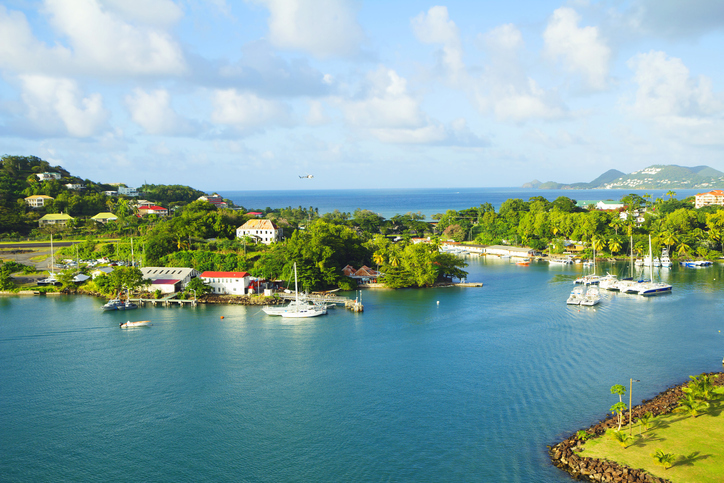 And you can feel it whether you stay in the upbeat, party-centric Dutch side where the port is located, or cross into the laid-back, local driven French side of the island. Freedom of the Seas® is a landslide vacation victory, winner of best cruise ship for first timers from Cruise Critic Cruisers’ Choice Awards. *Prices are per person based on double occupancy, availability and subject to change without notice. Taxes, fees and port expenses are additional at approximately $58.39 per person. Other restrictions may apply. Ships’ registry: The Bahamas.